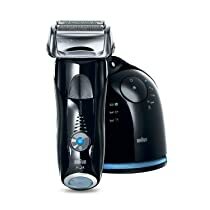 NOTE: Braun has now launched a new top of the range model in the Braun Series 9 9095cc shaver on Amazon. If you want all frills on your shaver then check it out. Here we’ll continue our review of the still fantastic 790cc model. 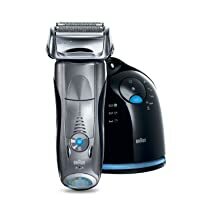 The Braun 790cc-4 Pulsonic Series 7 Shaver (790cc-3 in Europe) is the premium electric shaver in the men’s range. It has it all, great cut, great performance, a self cleaning facility and it is rechargeable. The rechargeable battery has a good battery capacity to last you a long time between each charge. Let’s take a look in our Braun Series 7 790cc Review. Featuring the latest cutting edge developments in shaver technology, Braun have continued to update their technology while retaining the much loved Clean and Renew cleaning facility that has been present for many years now. Now more than ever, with its patented Power Comb technology you can have a much more closer and comfortable shave than you could obtain from technology a few years back. The technology has been greatly enhanced to minimize if not completely eliminate the occasional pulling and tugging at your hairs, particularly those on your neck, which can hurt when it happens and irritate your skin for a while afterwards. Unfortunately, a lot of inferior razors perform very poorly when it comes to cutting hair and avoiding pulling hair. The 790cc-4 shaver’s Power Comb system will lift problem hairs and cut them rapidly for that smooth and finished shave that is desired, yet so often elusive with electric shavers. Irritation is further reduced in this model as the clean and renew module that it comes with will ensure your shaver is adequately cleaned between shaves – so long as you put it in the self cleaning unit of course. The Braun 790cc-4 Pulsonic Shaver operates at over ten thousand vibrations per minutes to ensure the highest quality and experience in shaving technology to date. These vibrations help to achieve the closer and smoother shave experience by creating the right environment to get access to the hair as close to the skin as possible, leaving your face feeling smoother than ever before as they hair is cut away nearer to the hair root than ever before. Where you may argue that Braun is the King of electric shavers, Gillette is pretty much the undisputed King of manual razors. With the Braun Series 7 790cc there is a marriage between the technology of these two titans. The Braun 790cc-4 Pulsonic shaver uses Gillette Blade Technology, which combined with the ten thousand vibrations that the Pulsonic shaver operates at provides a shaving experience of a high quality not yet experienced with previous shavers. The shaver heads add an additional way that the 790cc-4 Braun Shaver makes light work of shaving. It uses the latest advancement in shaver head design. 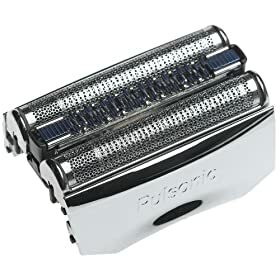 Called Sensoflex, the sensitive flexing head of the Pulsonic shaver is now more effective than other shavers to date ever were at lifting up hair that is flat against the skin, or growing in the wrong direction. 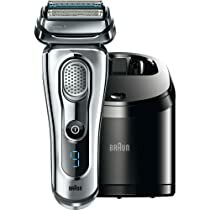 Its unique ability to pivot to twice the extent of past Braun shavers helps to ensure that stubborn hair does not remain in place after shaving like it would with inferior shavers. While not a unqiue feature to the 790cc-4 Pulsonic model, Braun’s ever popular Clean and Renew facility comes with the 790cc Pulsonic shaver to keep your shaver maintained in tip top condition. This all in one cleaning solution will thoroughly wash your shaver head – hence the Clean and Renew title. It also lubricates, and dries the shaver head while recharging your shaver’s battery while it is at it. After running your Braun electric razor through the Clean and Renew system you could argue it looks like new and smells fresh from the lemon zest kind of fragrance that the Clean and Renew Cartridge solution smells of. Furthermore with this premium 790cc model, another technological breakthrough has been achieved with the 25 second Fast Clean mode. That’s right – 25 seconds for a clean! Amazing. That’s faster than you would take trying to clean the head manually. However you would only want to use the quick clean feature after a shave, or if you’re about to travel for a short break and wanted to quickly clean your shaver before you set off, because of course the shaver head will be wet. I hardly use this feature. Speaking of traveling with your shaver. If you are on the move, then you can also wash the Series 7 head directly under a running tap – amazing convenience! But of course when you’re back home you will want to go back to the Clean and Renew system. No more irritation from shaving with a shaver head that has built up bacteria from dead skin and debris from previous shaves. Speaking of recharging, the Pulsonic also breaks new ground with its energy efficient technology. The 790cc-4 is the first shaver on the market to achieve Energy Star recognition for the energy saving efficiency of the battery charger and Braun’s commitment to environmental sustainability. As for the performance time of the battery. A depleted battery takes an hour to recharge and that will provide about 50 minutes of shaving time. And if you are on the move after letting the battery run out of charge, just 5 minutes of recharging is enough to get you out of an awkward situation, or you could alternatively operate it directly from the mains connected cord if that would not be too much trouble for you. Are there any disadvantages? Yes one disadvantage of the Braun 790cc-4 lies with the flip out trimmer. In prior models, the trimmer was thicker and more sturdy with it’s push up design. The trimmer on the 790cc-4 is a thinner, flip-out design which feels flimsy, less effective and as the trimmer opens out at a diagonal angle, it is more awkward to use. If you need to trim longer hairs, you may wish to buy a separate trimmer. Braun have really pushed through the technological ceilings of yesteryear and raised the bar even higher, ensuring that Braun has no need to worry about being left behind over the next few years, but instead has rocketed ahead and is THE manufacturer that other manufacturer’s need to keep up with and try to beat if they are to avoid falling into obscurity. One other minor disadvantage that comes with the Braun as it does any shaver is that the blade will eventually need replacing. This model combines the shaver foil and cutter block into a single shaver head unit. Traditionally, the cutter foil and cutter block were separate, which meant that you could replace each part separately as it became worn out. It may have worked out slightly cheaper that way. That said, you only need to replace your Braun shaver head once every 18 months. There are three common versions of the Braun Series 7 shaver on the market. The 790cc itself which has all the bells and whistles, and then in the USA there is the 760cc, while in the UK there is the 720cc. There are not too many differences between the three model, in that basically all three utilize the same shaver technology, but there are missing certain features or extras missing from the latter two that you might value having. So let us examine what these differences are. The main difference here is that rather than featuring an LCD panel that will give you all sorts of useful information about the usage and condition of your charger for example the amount of shaving time left in terms of the current charge level of the rechargeable battery, the 760cc does not feature this LCD panel. Instead it has LED indicator lights. Some people may prefer to have an LCD panel providing additional info, others may not. It also lack a fast clean option in the Clean and Renew unit. So basically you will have to wait a little longer to gain access to your shaver after putting it in the Clean and Renew unit for cleaning. Other than these two things the main difference is in cosmetic appearance. The 790cc is colored with a mixture of a silver main frame and dark blue accent, whereas the 760cc is silver with a grey accent. At the time of writing, the difference in price is rather negligible, and if that’e still the case while you are reading this, then I recommend the 790cc. The 720cc like the 760cc described above has LED lights instead of the 790cc’s more useful LCD panel with information on the condition of your shaver, but there is one more much more significant difference between the 790cc and the 720cc. The main additional difference here is that you also lose the clean and renew unit. Now this is a much more significant difference. Having a unit that automatically cleans out and freshens your shaver between uses is simply a once you have it, you will never go back to manually cleaning kind of thing. For anyone that has never owned a shaver with self cleaning ability, you do not know what you have been missing. The price difference here is more substantial than the difference between the 790cc and 760cc. So the question you have to ask yourself is, would you like a shaver with self cleaning unit to keep your shaver clean and hygienic for you, as well as a shaver that gives you a little more information about its condition? If you are someone that has become accustomed to having a self cleaning shaver, then the loss of this unit will be much more significant to you in making your decision. So concluding our Braun Series 7 790cc review, this shaver offers a number of advantages. You get a great, hygienically clean shave every shave. Flexible head. Enhanced Cleaning technology, ability to clean directly in water as an alternative, rapid and energy efficient battery charging, enhanced pivot and cutting technology, including cutting of stubborn hair and more ensure any purchaser of this shaver will be happy for a very long time. If you are looking for your next high quality shaver, it has to be the Braun 790cc-4. Here’s your quick guide to buying the accessories and parts for your Braun Series 7 790cc Pulsonic Shaver. First and foremost, when you purchased your shaver, you would have noticed that you had to insert a clean & renew cartridge into the shaver’s clean and renew unit. The unit and fluid are a fantastic facility for keeping your shaver clean and hygienic after every use. You simply insert your shaver head into the unit and your shaver will be cleaned and recharged without you needing to lift a finger. That said, I would recommend to keep your fluid lasting longer, that you use the cleaning brush that comes with your shaver to first manually remove hair and debris from your shaver’s foil and cutter block after each shave. But that’s up to you whether to do that or not. I prefer to do so personally. The Clean and Renew system was and still is a revolutionary and fantastic development in shaver technology. Using hygienic cleaning fluid with a lemon-like fresh scent to ensure your shaver performs like new after each use and clean. 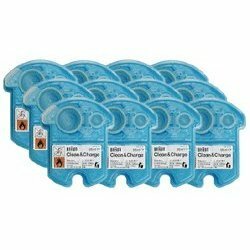 But, each cartridge will only last around 2 months and the last thing you want is for it to run out without you having any refills about – one gets used to the hygienic clean, feel, and fresh smell! So the first thing that you need to buy for your Braun 790cc is a pack of clean & renew cartridges. Braun recommend that you replace your cutter and shaving block every 18 months. As of course, after repeated use, the precision and effectiveness of these shaver parts will decline. Worse still, the shaver foil may eventually break, forming sharp edges that may cut your skin. So you will definitely want to make sure that you replace these parts at the recommended intervals. This will help to maintain top performance. Other than the above, you might like to carry a spare charger cord with you. This is useful if you frequently go travelling. 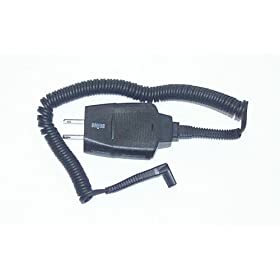 It saves the hassle of disconnecting your charger cord from your clean and renew unit. Or having to pack it each time. Thanks for reading this Braun 790cc shaver review.